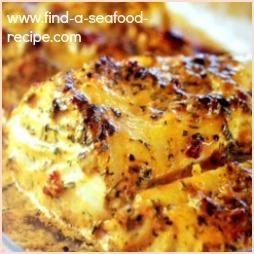 Seafood is good for you, it's quick to cook and easy to digest. White fish is high in protein and low in fat. Oily fish is also high in protein and has many health benefits - the oils have been shown to improve brain function, promote a healthy heart and indications are, that it offers an element of prevention of some cancers. There are hundreds of different ways to cook fish and it need never be boring! You can make soups, stews, casseroles and curries, you can bake, broil, barbecue, fry, smoke and pickle, you can use fresh, smoked, frozen or canned. You can spend a little or a lot. Shrimp, scallops, oysters, mussels - there must be hundreds of species to choose from. You can get freshwater and sea fish - some species spend part of their lives in each. Hop around the site to find recipes to suit you - some of the most popular links are just below here. 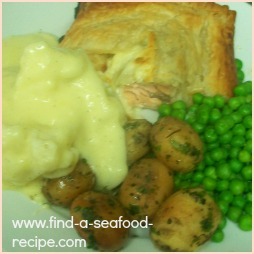 What to serve with fish - this section of 'sides' answers what's probably the most frequent question I get asked. Several different types of potato are listed, slow cooker mac'n'cheese, salads, - this section is expanding all the time. Also canned fish - don't dismiss it - my mum (my dad died in May 2005 and my mum's had to learn to cook) uses a tin of salmon in much the same way as you might use a salmon fillet. She opens a large tin, uses some for a salad, some for a sandwich and will cook potatoes, veg and parsley sauce to go with the rest. Check out the 'canned seafood' section for more ideas. There's always a lot of 'scares' when something becomes popular - makes you wonder about the Meat Industry - who starts these 'rumours' going round I wonder? Look at meat – we have chicken with salmonella – eating beef can cause ‘mad cow disease’, pork has tapeworms possibly unless it’s well cooked – lamb – well, the original source of the human form of ‘mad cow’ came from the carcasses of dead sheep fed to cattle – horse, goat, dog, cat – they’re not acceptable forms of meat protein in many countries. More good than bad will come out of eating seafood and fish - it's low in fat, high in protein - rich in minerals, vitamins and oils - you can't say all that about a piece of meat or a vegetable. We are naturally omnivores - we eat a mixed diet - we need protein, which can easily be found in eating flesh - meat or fish - OK, I know there's some very healthy vegetarians around that find their protein from other sources, but it's so much easier for the majority of us to have a mixed diet. Being a healthy vegetarian takes dedication. For centuries, people would eat fish on friday as a form of abstinence - we don't follow those traditions so much these days, but there are obvious health benefits from eating seafood and starting off with a friday fish meal is a good way of getting into the habit. 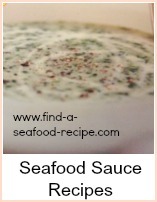 Seafood is low in fat and high in protein and minerals. It is an important part of a balanced diet.